Handmade ball rim knobs in beeswax finish. 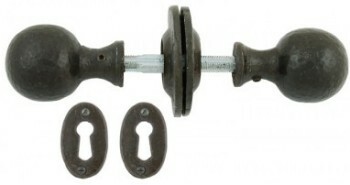 Supplied complete with two loose roses and two escutcheons for use with rim locks or as a mortice knob set. 41mm diameter knob, 70mm projection, 60mm back rose diameter.